Spokane Washington and McCook Illinois: View of Swindell-Dressler brochure highlighting the Electric Furnaces designed, constructed and installed in two Alcoa plants during World War II. The caption reads: Midget automobiles are in evidence everywhere. They are needed to traverse the plant’s 3 ½ miles of a aisles. 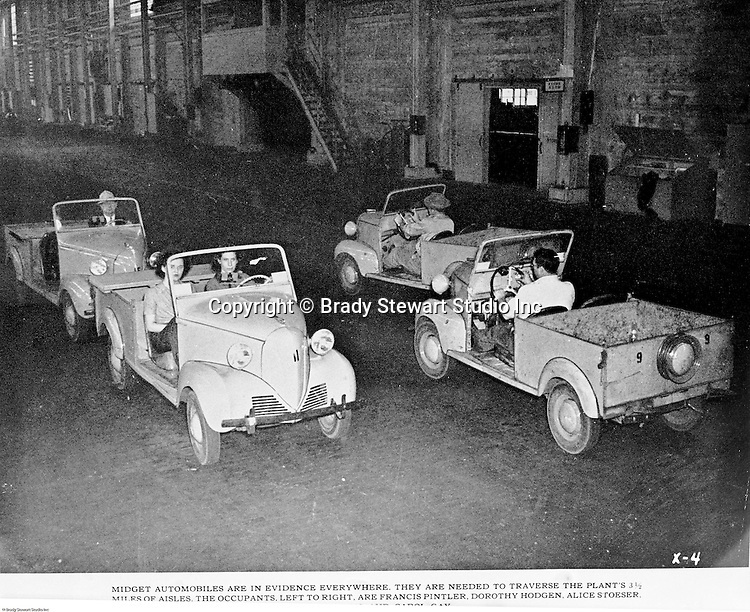 The occupants in the two cars facing us are, left to right, Francis Pintler, Dorothy Hodgon and Alice Stoeser.